Ordinary Hiker: Spring Balance = Rejuvenating the Etsy Shop! Did you know I run an Etsy shop? Like the Blog badge on the right wasn't apparent enough, lol! 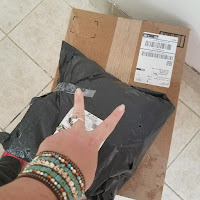 Yep, I've been on Etsy since 2008 (if you include my old Yarn and Crochet shop), but I've been creating and selling handmade or vintage jewelry since October, 2009. 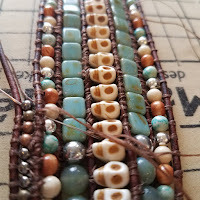 Since moving to New Mexico, the Etsy shop updates have been less frequent... Since getting a better schedule at my current job, I have more time to devote to my true love: Arts & Crafts! Handmade Crochet items are always popular, but since I'm the most tedious crocheter, I've been putting more and more focus on jewelry. I love the fact that jewelry creations have a shorter time investment, but the results are always eye-catching an unique! 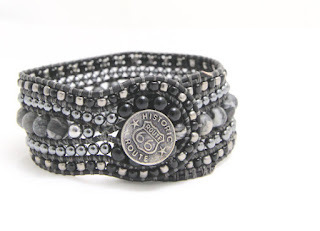 Single Leather-Wrap Evil Eye Protection Bracelet featuring Evil Eye Connector Bead! 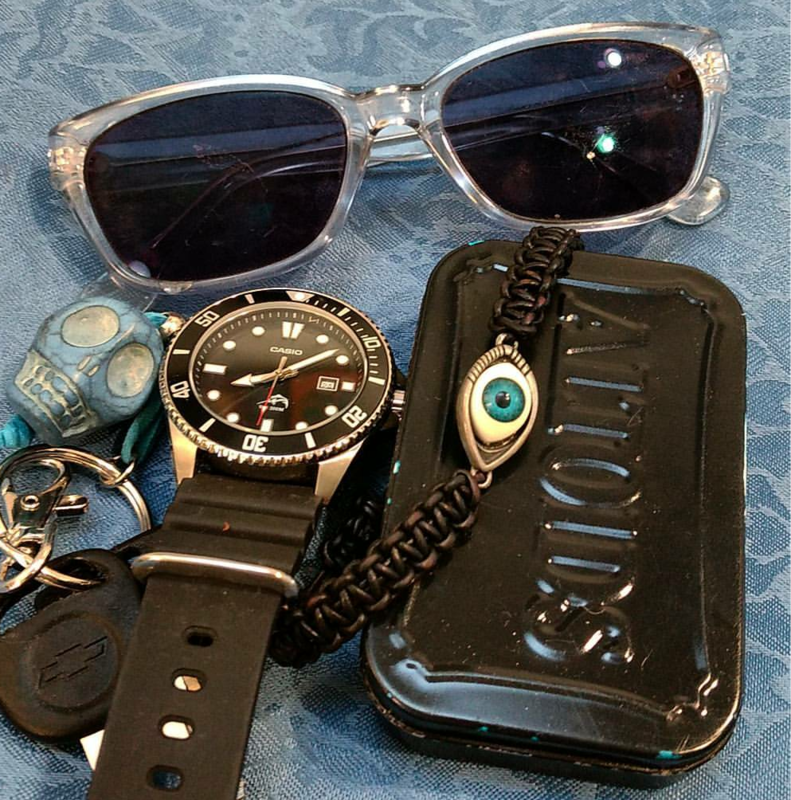 Lately, most of my jewelry products have functioned as props on the CheapGeek Instagram Gallery! 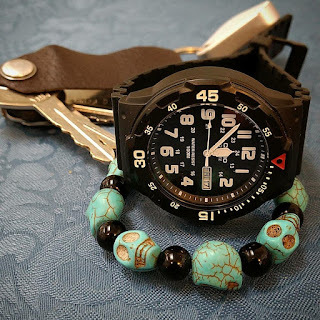 CheapGeek has put his focus on watches and other accessories, so I've been blessed with quite a few features in his gallery! Beaded Howlite Skull and Obsidian Adjustable Knot bracelet, featured on CheapGeek Instagram! I'm also finishing up a few of my woven leather pieces, and I've already got one listed up on Etsy! 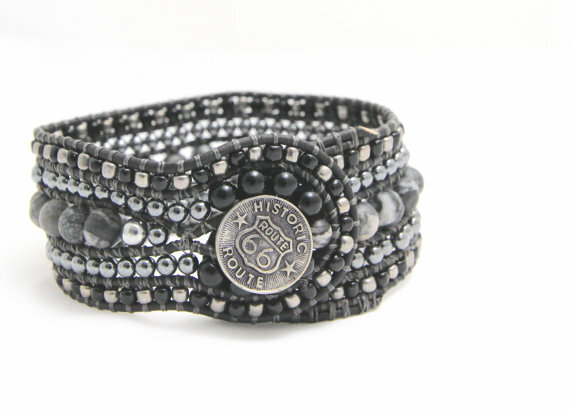 "Night on Route 66" is a FIVE ROW hand-beaded leather wrap featuring hematite skulls and a limited edition TierraCast brand Route 66 button! 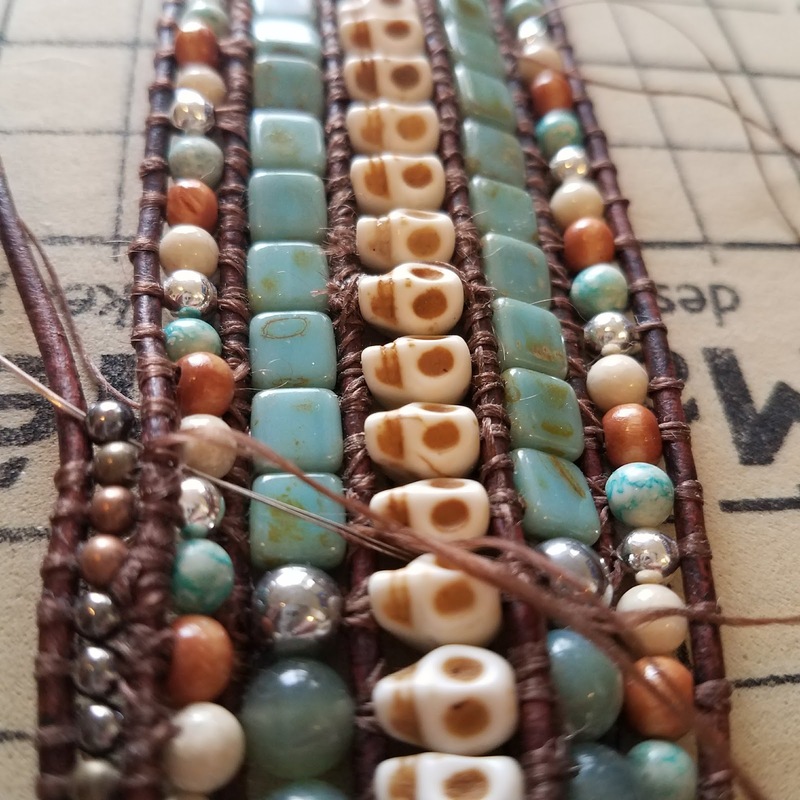 This is a much larger bracelet than my traditional wraps. It features five rows, and I designed it to fit men's wrists over 8 inches. So I can total picture this on a "dude's" wrist! See that thread? Yep, I'm a little disappointed with my current nylon thread, but I plan to power through it since this is a piece for myself! I'm still working on a few of my bracelets, and others I'm just waiting for my supplies to come in. The Evil Eye bracelet featured in the first image is a FAV of all my friends, but the focal connector bead is always out of stock. I finally found a supplier that I can get these from on a regular basis! In the meantime, be sure to check out my Etsy Shop here!